Artificial Nano White Marble Stone-welcome to china marmoglass, nanoglass, nano crystallized glass panel crystallized glass panel,crystallized white stone,white marble,minicrystal stone. What is Crystallized NanoGlass ? As the new green building material, Crystallized Glass is a kind of artificial marble made by twice melt & Crystallization under thousands of temperature for more than 24 hours, which is like the formation of natural granite. Though quartz sand takes up around 30% of the whole raw material, it is different from Caesar Stone as no polymer resin is needed to solidify the slab. Compared with Natural marble, little maintenance is needed for Crystallized Glass. Though widely known as Crystallized Glass in America, many people like to call it marmoglass, crystal glass and micro crystal. 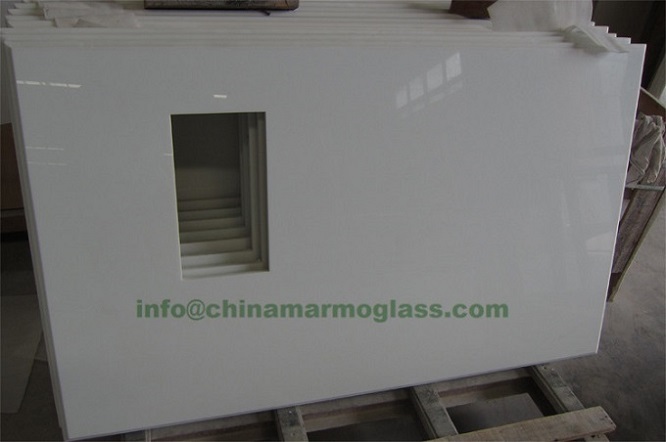 China Marmoglass Co.,Limited is the biggest supplier and manufacture for all kinds of crystallized white tiles. 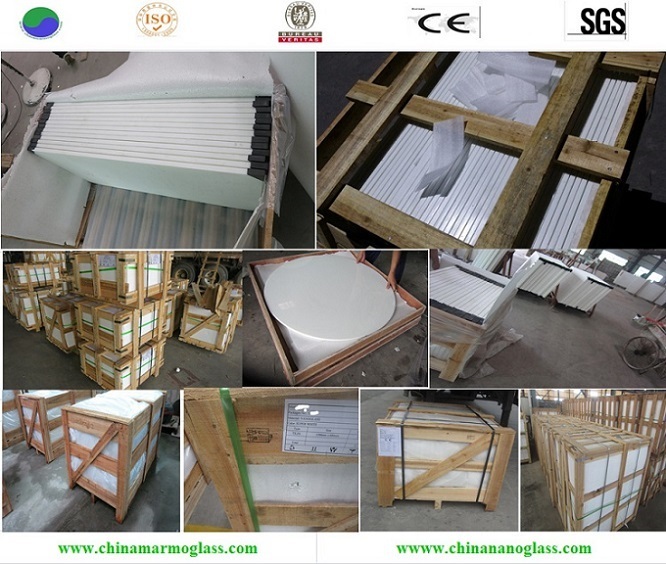 China Marmoglass Co.,Limited produce the white crystal tile, crystal floor, crystal slab, crystal stone, crystal tile, crystal slate, crystal stone tile, crystal flooring, crystal bathroom, crystal onyx, crystal floor, micro crystal stone, micro crystal slab, micro crystal tile, micro crystal slate, polished crystal tile. 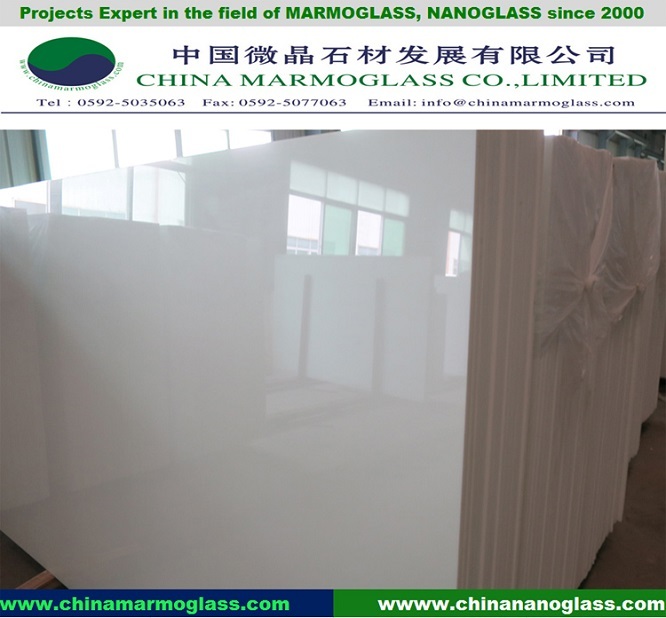 China Marmoglass Co.,Limited is the biggest supplier and manufacture for all kinds of Nano Crystallized Glass Nano Glass Countertop.China Marmoglass Co.,Limited can make all countertop, tabletop, vanitary and so on.